Shoal Air offers a comprehensive freight service to all Kimberley destinations. This service includes pick-up and delivery, and storage for all freight including dry, frozen and refrigerated goods. We take pride in understanding and servicing the needs and exceptional circumstances of our remote clients. We offer every possible means to facilitate a prompt and efficient logistics service to remote destinations. Small items of freight can be carried on booked charter flights, usually at no cost to the sender/receiver, if consented by the hirer of the aircraft. Bulk freight and heavy consignments may require a dedicated aircraft and Shoal Air has a cost effective solution for most freight requirements. Until now certain items classed as “Dangerous Goods” (DG) have not been able to travel by air from Kununurra to outlying settlements. We have listened and acted on your concerns and Shoal Air is now fully qualified, equipped and CASA approved to carry Dangerous Goods. 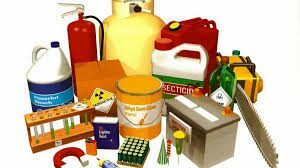 Dangerous Goods by Air regulations are very complex, if you are unsure, please contact us and one of our friendly staff will be happy to discuss specific requirements, solutions, and costs. Please also refer to our Terms and Conditions of Charter.